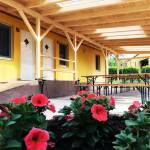 Our accomodation, Hotel Magnólia situated on the northern shore of Lake Balaton in Balatonszepezd. In calm, pleasant environment, from the beach and a railway station 300m, we wait for our guests beside the cycle track of Lake Balaton. Quiet, pine-shaded area is used recover from everyday noise. We thought the families with young children, we has a children's playground for them. Your comfort is guaranteed by 22 tastefully furnished hotel rooms. 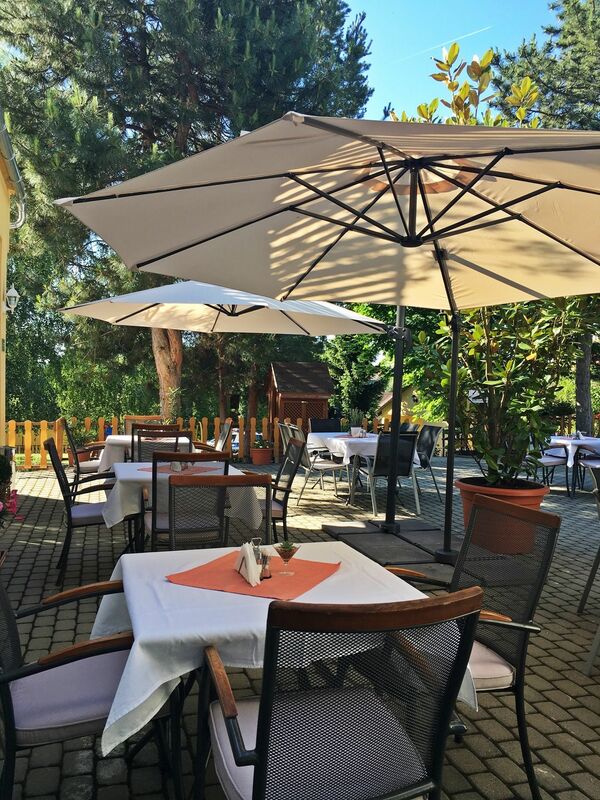 We have a sun terrace with panoramic view of the lake. Swimming possible in the lake Balaton from the hotels 300 meters in the beach. All the rooms have fridge, television and bathroom with shower. Our rooms are equipped with: air-conditioning, own bathroom, television. Some rooms are equipped with air conditioning, which is not, equipped with the fan. 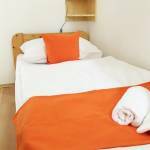 The main building rooms are 2-3-4 (double bed, twin beds) with shower, toilet, fridge, television and sun terrace. 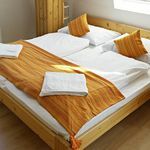 The hotel also has 6 separate air-conditioned, terraced bungalows with 2x2 beds + 2 extra beds. These rooms are equipped the same as those in the main building. A separate building includes 4 double rooms, whose equipment is similar to those described above. Wi-Fi Internet connection in the main building and its surroundings. Buffet breakfast is included in the price of the room. 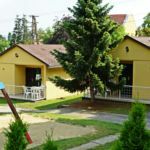 The rating of Hotel Magnólia Balatonszepezd is 9.3 from the maximum 10, 291 based on actual and valid guest ratings and reviews. "Doesn't accept bank cards to hold reservation, had to send cash through the post office which costed extra money. Room did not have maid services. Provided clean sheets and towels only on first day. No microwave or coffee maker, had to rely on restaurant for coffee. Internet service is limited Wifi and only to the restaurant area, unable to get connection in the room." 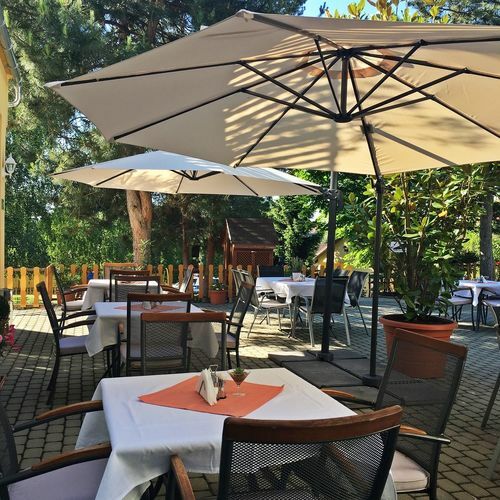 "Close to Lake Balaton only about 150m to strand, other restaurants, train station and main road." Thank&#039;s for your message, sorry that we dont have bank therminal, but we told this information before your visiting We dont have room service, but you dont told this, because if the visiters need the plus room service, plus towels or bed clothes, of course this is possible. You only wanted that we wash your clothes, but sorry we dont have this kind of service. We give cleen rooms for the visiters. On the web side we not put on this information, that we have coffe cooker or microwave in the room, this place is not apartman house, this is hotel. We have free wifi, but only garanty in the wifi zone. Best regarts, have a nice summer and thanks for your letter. "A tulajdonosok rendkívül kedvesek, segítőkészek.A reggeli változatos." "Nagyon kedves személyzet, nagy terek, szabadtéri reggelizés lehetősége, óriási terasz, amiről kilátás nyílik a Balatonra, van párakapu." Based on the reviews and comments of actual guests, the services of the Hotel Magnólia Balatonszepezd have received a high rating of 9.2/10.